Because of the Bonds’ Structure the State and Feds are Recording Beaumont Debt as Twice the Amount listed on each Bond. The California State Treasurer’s Office website, Debt Watch, used to record Beaumont’s Mello Roos CFD Bond Debt at $225 Million, but now records Beaumont’s Principal Bond Debt at $442,690,257. New Money Bond Debt is recorded at $292,796,539 and Refunding money is recorded at $149,893,718. From my perspective there’s a total of $400 Million missing from the City of Beaumont; $300 Million in Bond money and another $100 Million from Taxes, Fees, etc. But both the State and Feds record Beaumont’s Bond Debt acquired at $600 Million instead of $300 Million because of the way Beaumont’s Bonds are structured. Bond debt is like any other debt, there has to be some collateral. Beaumont Created collateral by first issuing bonds under the Beaumont Financing Authority, then using the money from selling the BFA securities to purchase the securities from the CFD, which was written into the same bond. So, for example, when the City acquired a $10 Million bond they actual acquired $19 Million in bond debt but only $8 or 9 Million in actual money after lawyers and consultants were paid. Beaumont acquired its first Sewer Bond in 1993 and its first CFD Bond in 1994. The Citizens living in Beaumont’s Development Areas have been paying additional Mello Roos CFD Special Taxes For almost 1/4 century yet the current Bond Debt is $442,690,257, the Sewer Plant is deteriorated, there is no Recycled Water, there are no Fire Stations, there is no Regional Park, and the Roads are inadequate. To add insult to injury the City overcharges an additional $8 Million/year in CFD Services Taxes to pay for operations and maintenance of the fire stations and roads that do not exist. 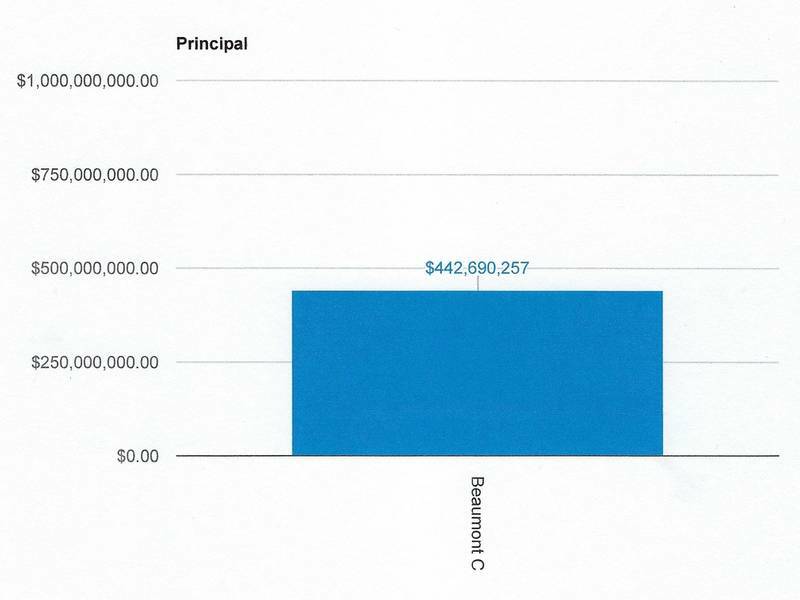 Beaumont has to declare its $442,690,257 Bond Debt on the Financial Statements. The City can also claim the $225 Million or so in CFD Securities the Beaumont Finance Authority owns, but it has to declare the entire $442 Million in Bond Debt.